Today, publishers are developing or acquiring more advanced technologies, digital strategies and ad formats in efforts to boost revenue and provide greater value for advertisers. Despite the evolving digital marketing landscape, one thing still holds true: advertisers need to reach the right audience through the right screen and channel at the right time. To measure campaign performance, publishers and advertisers need to understand if their ads are seen — and by the intended target audience. Therefore, it’s critically important to focus on the right metrics. Here are five key metrics that publishers should consider to help deliver engaging ad-viewing experiences and gain a competitive advantage. Viewability remains a vital concern in the digital advertising world. As video ad units command1 an increasingly large part of advertising budgets, publishers and advertisers continue to invest in solutions to ensure that their video ad units meet the IAB viewability standard — i.e. desktop video ads are considered viewable if 50 percent of the pixels are in view for at least two seconds — and at least one second for desktop display ads. So far this year, 66 percent of video ads overall are viewable across the web and apps (excluding YouTube) spanning desktop, smartphones and tablets according to Google’s recently released Global State of Play report. The report, which addresses the state of viewablity for 2015 and 2016, found some 93 percent of video ads achieve viewability on YouTube. Industry sources assert that achieving 100 percent viewability doesn’t assure ad units have reached the right audience. While placing video ads within view is first priority, measuring completion rates and levels of engagement are also important metrics. It is not enough for ad units to be seen — the message also has to connect and resonate with the right viewers. Therefore, marketers also need to rely on metrics to measure whether viewers actually engage with the video ads. Telling questions arise: How long did the ad stay in view while it played? How many viewers watched the entire video, and what did they do as a result of it? Brand recall is said to be considerably higher if the entire ad was watched. Taking a closer look at viewer engagement can be done by using interactive elements, such as overlays or buttons within the videos. This can be a good way to measure campaign effectiveness. Additionally, research suggests that completed views are more valuable to advertisers than click-through rates. On their own, click-through rates may not be good indicators of success for branding campaigns; just because someone clicked on an ad does not mean that its message hit home. Bounce rates are another important metric for viewer engagement and campaign effectiveness. There can be many reasons leading to higher-than-expected bounce rates. Finding out what makes a viewer come to a site and immediately leave it after a brief visit may provide insight into how to get them to engage with more pages and ad units in the future. Irrelevant or misplaced ad units that appear within pages or apps and whose content is totally unrelated can cause bounce rates to increase. Publishers should therefore concentrate on finding ways to structure their sites to be conducive to specific content-related ad units. They should also invest in technology that intuitively places ad units within sites or apps according to related content. Slow loading pages can also contribute to bounce rates. Advertisers and publishers alike know website quality matters to viewers when it comes to ad effectiveness. A recent comScore study finds ads that are featured on sites of premium publishers are 3x more likely to enhance brand preference among viewers and encourage them to recommend products or services compared to when these ads appeared on sites of non-premium publishers. The study looked at the online display campaigns of 15 large brands. It compared advertising inventory and brand favorability between premium and non-premium publishers. The publishers in the study were all part of Digital Content Next (DCN), a trade group that includes dozens of the top-rated publications, including The New York Times, NPR, ABC, and Condé Nast, explains adweek.com. According to the study, the enhanced favorability could have been due, in part, to better viewability rates on these premium websites — 50 percent versus 45 percent for non-DCN publishers. ComScore discovered premium publishers were also better at optimizing their website designs around viewability. This resulted in viewers spending more time on their pages and ultimately seeing fully rendered ads. Additionally, says the news source, DCN publishers were less likely to “stuff” low-quality ads at the bottom of pages or show ads that weren’t viewable at all. Publishers know they need to provide a positive user experience. And loading time – of both web pages and ad units – is a key factor contributing to this. This metric will indicate whether or not traffic will stay on a publisher’s site or wait around to view an ad. Given the limited attention span of consumers of digital media today, even one or two extra seconds wasted on load time can make all the difference between a viewer engaging with or bouncing from a publisher’s site. Sources say web users expect pages to load in two seconds or less, and a one-second delay in page response can result in a 7 percent decrease in conversions. A quick load speed will contribute to a more positive user experience, boosting their confidence in the site and brand. Publishers should invest in technological tools to measure and, if needed, improve load speed. In an atmosphere where irrelevant ad placements and ad blocking are prevalent, transparency in digital advertising is increasingly important, especially to preserve publishers’ revenue sources. This is also the case when it comes to “bot traffic,” which remains a concern today. In the past, extremely high bounce rates could indicate a high rate of bot traffic coming from a particular traffic source. However, today, as bots have become more advanced, some can remain engaged on sites longer than human visitors, throwing off the metrics. Publishers should do all they can to attract traffic from other premium sites. Digital media companies can also attract advertisers by offering and maintaining a transparent view of the domains where they run ad units. Today, maintaining a direct, transparent relationship with a network of premium publishers is preferable to reliance on a bidding platform. There are a variety of programmatic metrics to consider. 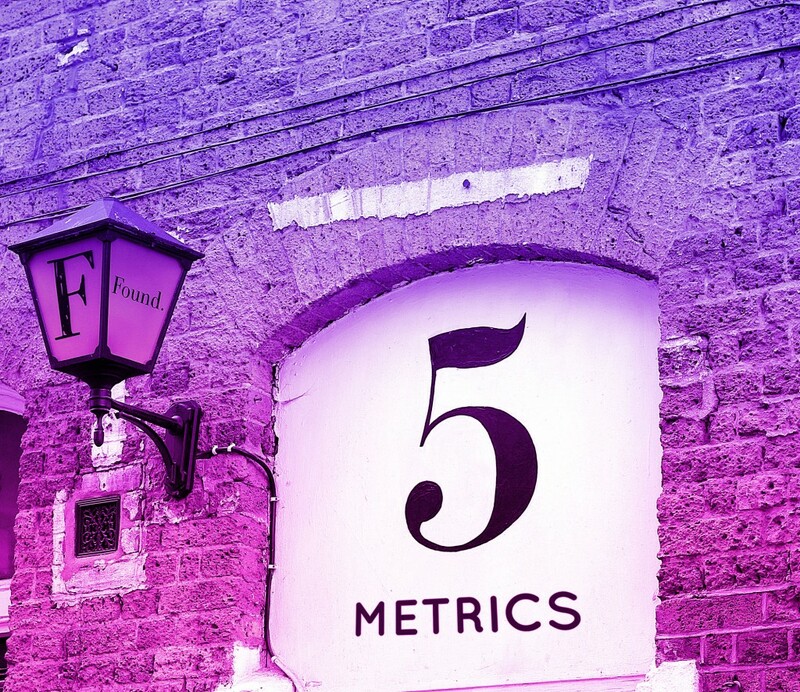 Whether focusing on ad viewability and engagement, bounce rates, site quality, load time or transparency, these are the metrics that should matter most. They will help publishers consistently deliver engaging ad-viewing experiences and boost campaign performance.